TBILISI, DFWatch–After a period of depreciation, Georgia’s national currency, lari, has started to stablize. The government has cancelled plans to drastically cut the budget. According to data from the National Bank, one USD is today worth 2.3234 laris. Due to the floating lari rates in Georgia, currency rates at commercial banks and exchange booths are higher, but the National Bank publishes the official rate daily, on an interbank trading basis. The lari started to drop in value in November, when one USD was priced at about 1.75 laris, while earlier it varied around 1.65 laris. Since November, the lari continued to drop. In January, it was stable for a while, but then a new downturn phase began. In recent days, one USD reached 2.40 laris. But on Monday, the lari started to stabilize. In one day, it managed to stabilize by one point. From Thursday one USD is 2.3234, while one USD was 2.3378 yesterday. 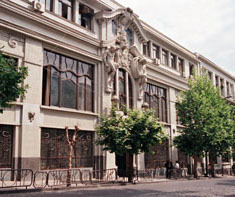 Financial analysts and opponents of the government have criticized it for not taking the necessary measures to stabilize the lari, but the government rejected the criticism, claiming the currency drop was caused by external factors, and that the president of the National Bank was to blame for not doing more to prevent it. The bank’s president is a Saakashvili-era appointee whose term expires next year. Yesterday, the finance minister, minister of infrastructure, National Bank president and the business ombudsman met with the head of the finance committee in parliament. Meeting hasn’t been official and hasn’t been announced in advance. It took place late in the evening in parliament. “I hope that the stabilization of the lari will continue and current processes in the country will contribute to this,” Finance Minister Nodar Khaduri told journalists after the meeting. He also said that the expenditure part of the budget didn’t have an influence on the lari rate and won’t have an influence in the future either. As international financial institutions like EBRD and IMF have downgraded Georgia’s growth forecast for 2015, there has been increasing pressure on the government to cut the 2015 state budget. IMF currently predicts 2 percent growth this year and 3 percent growth the next year. Inflation is estimated to maximum 5 percent next year and 3 percent this year. EBRD has pretty much the same data. After both of those prognoses were published, government spokespersons said that they plan to cut the budget by some 600-700 million laris (USD 250-290 million), which is about 8 percent of the budget. But the finance minister now says the budget will not be cut. The president of the National Bank thinks that in the medium term, further devaluation of the lari is not expected. Giorgi Kadagidze explains that stabilization of lari is related to several factors and most important is that current devaluation influences the balance of payments. Accordingly, the correction is made for import and currency exchange rate pressure is removed. He also says that additional factor can be tourist season and other economic events.